Conan's return to late-night is a success, but the goofiness torch has been passed. A) There is no owl in this show. B) There should be. This was never supposed to be a review of The Late Late Show with Craig Ferguson. It was supposed to be a celebration of Conan O’Brien, triumphant talk-show host. The guy who got screwed over, the guy who got fired and then flipped his boss a three-month-long middle finger across the entire country. He’s the victim, he’s the hero, he’s the six-foot-tall millionaire little guy. He’s the underdog who won by losing. And, make no mistake, he’s funny. But Craig Ferguson has become more Conan than Conan. 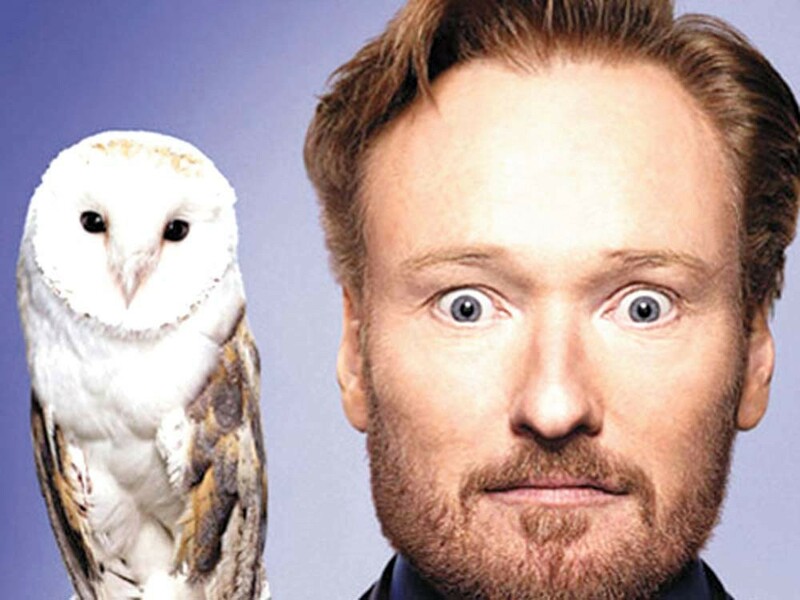 Let’s distill the essence of classic Conan O’Brien: Gutsy, quirky, goofy. He takes crazy risks, introduces bizarre characters, and wastes absurd amounts of time in the most absurd ways possible. But as Late Night turned into The Tonight Show turned into Conan, Conan slipped into familiarity and comfort. His guests became more mainstream. His comedic style became more polished, less charmingly low-budget. He began to rely on his old characters too often. As the old saying goes: You can only ride the Masturbating Bear for so long. Andy Richter, Conan’s ever-loyal and hilarious co-host, is the best part of Conan’s new show. But Ferguson, lacking a co-host, hired one of the Mythbusters guys to build him a robotic skeleton co-host that spouts sassy catchphrases. Point, Ferguson. Conan pales — no pun intended — in comparison. Let’s be clear. My dissatisfaction with Conan is not dissatisfaction with Conan. He is, as a person, as hilarious as ever. He’s amiable. He’s amicable. He’s a guy you want to spend time with. The problem is that he’s no longer pounding at the walls of what a late night show could be; he’s no longer daring to experiment. Late-night television can be about the comfortable. That’s Jay Leno. That’s Conan now. Or it can be the stuff of Letterman, Ferguson and the glorious, nothing-to-lose last days of Conan’s Tonight Show: risky comedic chaos.